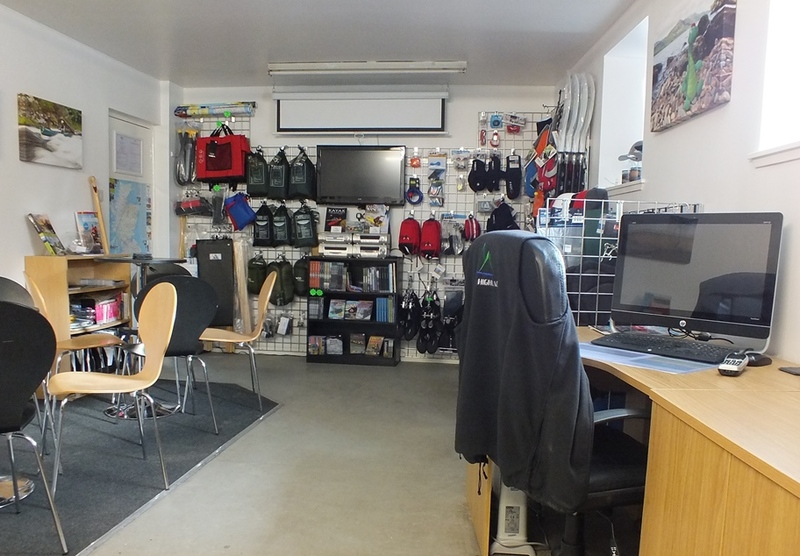 In March 2014, Explore Highland moved into a new office and workshop in Inverness, right beside the Caledonian Canal. 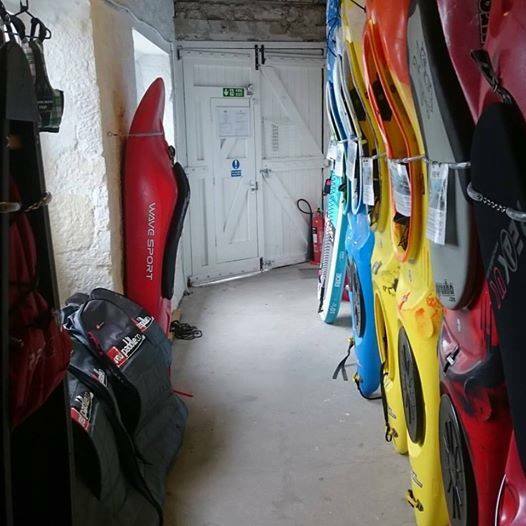 My location at Clachnaharry Works Lock has direct access on/off the canal for flat water coaching activities, plus easy access onto the Beauly & Moray Firth for touring and coastal paddling adventures and a great location for all those starting/finishing the Great Glen Canoe Trail. After portaging onto the Muirtown Basin, Inverness you launch from the Sea Scouts pontoon. Follow the canal 400m towards Clachnaharry Works Lock. There is a large canoe trail pontoon on the left, 50m from our front door. There is also a set of steps closer. Follow directions off the A9 for A82. After crossing the Friars Street Bridge, follow the signs for A862 along Telford Street crossing the Caledonian Canal. Continue on the A862 straight across the traffic lights onto Clachnaharry Road. Turn right ( in approx 100mtrs) after Blackpark Petrol Station turning into British Waterways signed car park. Follow the A862 to Clachnaharry. After the Rail Bridge traffic lights, drive slowly along Clachnaharry High Street, as you approach the corner, Explore Highland office is on the left. Parking just off the main road and cycle path is possible for two to three vehicles. Should you wish to access the car park, please drive along to Blackpark Petrol Station to turn around. Access to British Waterways signed car park is only possible coming from Inverness direction. Drive slowly along the towpath (approx 30mtrs) and park on the left parallel to the wall. Turning is possible for small vehicles by the front door or for larger vehicles by Freewing Mast workshop. Please DO NOT park in the Clachnaharry Works Lock area (by the buildings/Lock Gates), as this must be kept clear at all times for Scottish Canals, emergency service vehicles and the other business units access. If unsure, please ask on arrival. 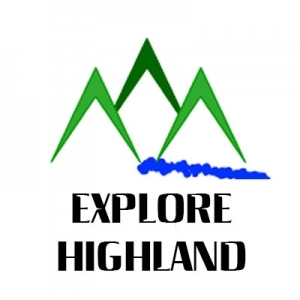 Explore Highland premises are now fully monitored 24/7 with an online CCTV system. This covers both internal and external areas of the facility. Planned trips, courses & holidays can all be booked and paid via the online diary. For further information, you can Contact Donald!